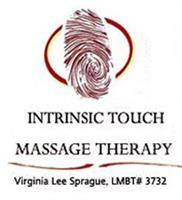 $20 OFF a 60 or 75 minute Therapeutic Massage! Start the New Year with massage therapy for you and your family. Whether you need relief from a stressful day (or a stressful life), have sore muscles, or are looking for the perfect gift for a deserving someone, a therapeutic massage can make a world of difference. While cookie cutter massage chains have their place, most people want to know that their massage therapist is experienced, professional, and will treat them as an individual, taking time to hear their needs and concerns.